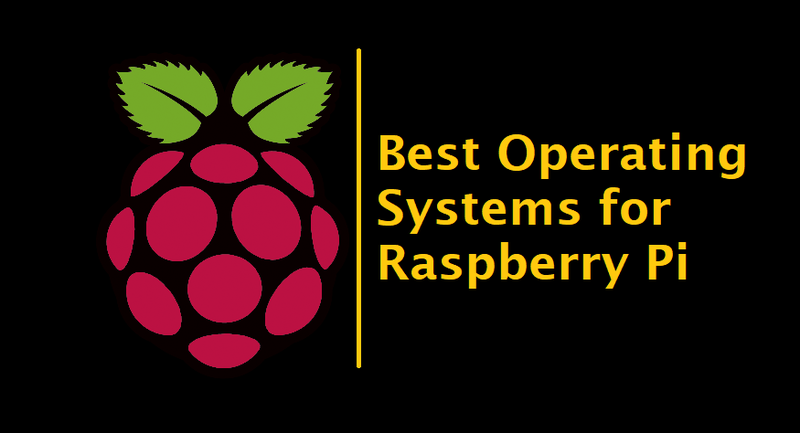 What are Best OS for Raspberry Pi? But first i am going to tell you about Raspberry Pi. The Raspberry Pi is a series of small single-board computers developed in the United Kingdom by the Raspberry Pi Foundation to promote teaching of basic computer science in schools and in developing countries. The Raspberry Pi is a low cost, credit-card sized computer that plugs into a computer monitor or TV, and uses a standard keyboard and mouse. It is a capable little device that enables people of all ages to explore computing, and to learn how to program in languages like Scratch and Python. It does not include peripherals (such as keyboards and mice) and cases. However, some accessories have been included in several official and unofficial bundles. Raspbian comes pre-installed with plenty of software for education, programming and general use. It has Python, Scratch, Sonic Pi, Java and more. The Raspbian with Desktop image contained in the ZIP archive is over 4GB in size, which means that these archives use features which are not supported by older unzip tools on some platforms. Martin Wimpress and Rohith Madhavan have made an Ubuntu MATE image for the Raspberry Pi 2 and Raspberry Pi 3 based on the regular Ubuntu armhf base, not the new Ubuntu “Snappy” Core, which means that the installation procedure for applications uses the traditional tools, ie apt-get. PiNet is a system that has been in development for the past number of years by Andrew Mulholland, a Computer Science Graduate, based in Belfast. It was designed for schools/organisations to setup and manage Raspberry Pi networks, to replicate similar systems already in place for Windows networks. The software/documentation is completely free and open source and has been built with guidance from educators across the world. A version of Arch Linux ported for ARM computers, Arch Linux ARM offers versions 6 and 7 for Raspberry Pi and Raspberry Pi 2 respectively. Its design philosophy promotes simplicity and user-centrism, ensuring that Linux users are in full control of the system. Its packages are signed by the build system, and it can be updated through daily small packages, as opposed to huge updates found in other OSs. Most of these packages are improved for the best performance even on low specs. A minimum of 2 GB SD card suffices for loading its latest version. RISC OS Pi is the latest version of the RISC OS designed for Raspberry Pi. RISC OS Pi brings an alternative desktop environment and a stack of heavily functional applications for the Pi board. If creating a boot image is too much work, you can get a specially prepared SD card preloaded with the RISC OS. It also offers a minimized version called RISC OS Pico that’s just 3.5 MB in size (for ZIP file) and is targeted for Pi hackers and modders. RISC OS Pi requires a SD card of minimum 2 GB to run on Raspberry Pi. It integrates with Visual Studio and posses similar Windows 10 look like graphical user interface. It runs on both ARM and x86/x64 devices. Windows 10 IoT Core uses Universal Windows Platform (UWP) API for IoT solutions. This operating system gives a familiar interface and also tools to create IoT solutions outside the Linux environment.